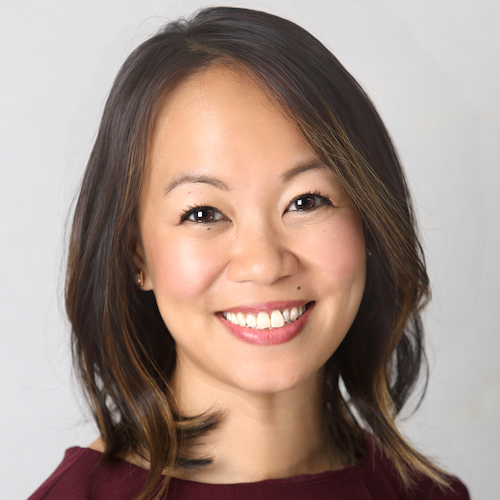 Dr. Sook-Lei Liew completed her undergraduate education at Rice University where she earned bachelor’s degrees in Kinesiology (with a concentration in Sports Medicine) and English. She received her Master of Arts degree in Occupational Therapy from the University of Southern California with a focus on adult rehabilitation. She remained at USC and completed her PhD in Occupational Science (with a concentration in Cognitive Neuroscience) investigating, with her advisor Dr. Lisa Aziz-Zadeh, experience-dependent changes in the motor system during action observation using neuroimaging and behavioral methods. From 2012 to 2014, Dr. Liew was a Postdoctoral Fellow at the National Institute of Neurological Disorders and Stroke at the NIH under the guidance of Dr. Leonardo Cohen, where she studied mechanisms of neural plasticity and neural repair using noninvasive brain stimulation and brain-computer interfaces, specifically, real-time fMRI neurofeedback. During her postdoctoral fellowship, Dr. Liew also completed collaborations at the University of Tübingen (with Drs. Niels Birbaumer and Surjo Soekadar) and at Johns Hopkins School of Medicine (with Dr. Pablo Celnik) to examine the use of brain-computer interfaces with stroke patients and noninvasive brain stimulation to enhance motor learning in healthy individuals, respectively. She joined the USC Chan Division in January 2015. Stroke is one of the leading causes of serious long-term adult disability around the world. Despite intensive physical and occupational therapy, many stroke survivors are unable to independently care for themselves due to persistent motor, cognitive and communicative difficulties. Large variations in lesion damage and individual characteristics (such as age, gender, physical fitness and genetic makeup) make stroke rehabilitation outcomes difficult to predict. Novel methods that predict and maximize each individual’s potential for recovery after stroke are thus desperately needed. to personalize the use of plasticity-inducing paradigms in order to capitalize on each individual’s unique learning or recovery potential. These goals support the overall mission of the laboratory, which is to enhance neural plasticity in a wide population of individuals in order to improve their quality of life and engagement in meaningful activities. Introduction. Transcranial direct current stimulation (tDCS) over the primary motor cortex (M1) can be an efficient way to modulate cortical excitability and promote motor recovery following stroke(1). However, the effects of M1 tDCS on behavior have been highly variable across individuals. Here we explored whether another motor region that is less often affected by stroke (dorsal premotor cortex, PMd) could also modulate cortical excitability. We also examined motor network neural complexity changes following stimulation of either M1 or PMd using simultaneous fMRI. Methods. Thirty healthy participants were randomized into 3 groups (over left M1, left PMd or sham (electrodes randomized over M1 or PMd)) in this double-blind study. tDCS (1mA) was applied concurrently during an fMRI session, using a Soterix MRI-compatible high-definition tDCS (HD-tDCS) system (4x1 configuration). Participants underwent 3 resting state runs (7 minutes each): pre, during and post the 7min HD-tDCS. Changes in neurophysiology were measured using motor evoked potentials (MEP) while motor network complexity was explored using a multiscale entropy (MSE) measure, which examines the variability of biological signals across a range of temporal scales(2). fMRI data were motion-realigned and noise-corrected using white-matter, CSF and motion-parameters as regressors. For MSE computations, we used a pattern matching threshold (r) of 0.5 and a pattern length (m) of 2. In total 20 coarse-sampled scales were investigated. Results. Changes in cortical physiology were measured with a one-way ANOVA with 'Group' (M1, PMd, sham) as a factor. Group differences in cortical excitability (measured as an MEP ratio of post-tDCS/pre-tDCS) were marginally significantly different following HD-tDCS (F(1,27)=2.78, p=0.06; M1=1.56+-1.80, PMd=2.03+-1.03, Sham=0.74+-0.35). Post-hoc Tukey tests showed that cortical excitability in the PMd group was increased compared to sham (z=2.3, p=0.05). M1 versus sham was not statistically different (z=1.4, p=0.29).Changes in MSE were measured with repeated-measures ANOVAs with 'Time' (Pre, During, Post) and 'Group' as factors, performed for each of 4 regions of interest (left/right M1, left/right PMd). There was an MSE increase in the M1 group in the right PMd (F(2,54)=4.55, p=0.01; Post-hoc tests: M1-During>M1-Pre: t(54)=2.8; p=0.01; M1-Post>M1-Pre: t(54)=2.6, p=0.03) and an MSE increase in the PMd group in the left PMd (F(2,54)=6.032, p=0.004; Post-hoc tests: PMd-Post>PMd-Pre: t(54)=2.4, p=0.049). Conclusion. This preliminary work suggests that both M1 and PMd HD-tDCS may modulate motor network neurophysiology and complexity, and that multiscale entropy may be a sensitive measurement of changes following noninvasive brain stimulation. There are few effective treatments for rehabilitation of severe motor impairment after stroke. We developed a novel closed-loop neurofeedback system called REINVENT to promote motor recovery in this population. REINVENT (Rehabilitation Environment using the Integration of Neuromuscular-based Virtual Enhancements for Neural Training) harnesses recent advances in neuroscience, wearable sensors, and virtual technology and integrates low-cost electroencephalography (EEG) and electromyography (EMG) sensors with feedback in a head-mounted virtual reality display (VR) to provide neurofeedback when an individual's neuromuscular signals indicate movement attempt, even in the absence of actual movement. Here we describe the REINVENT prototype and provide evidence of the feasibility and safety of using REINVENT with older adults. Brainhack events offer a novel workshop format with participant-generated content that caters to the rapidly growing open neuroscience community. Including components from hackathons and unconferences, as well as parallel educational sessions, Brainhack fosters novel collaborations around the interests of its attendees. Here we provide an overview of its structure, past events, and example projects. Additionally, we outline current innovations such as regional events and post-conference publications. Through introducing Brainhack to the wider neuroscience community, we hope to provide a unique conference format that promotes the features of collaborative, open science. The laterality index (LI) is one way to assess hemispheric dominance in a variety of tasks, such as language, cognitive functions, and changes in laterality in clinical populations, such as after stroke. In stroke neuroimaging, however, an optimal method of calculating the LI remains controversial, largely due to lesion variability in post-stroke brains. Two main methods of calculating LI have evolved in neuroimaging literature. The first, more traditional approach counts the number of active voxels in a given region of interest (ROI) for each hemisphere. This method has been criticized for its inability to account for differences in signal intensity. Hence, a second approach calculates laterality based on the percent signal change within a given region; however, this method also has problems, such as difficulty handling negative values. A laterality toolbox that addresses some of these issues has been implemented in the statistical neuroimaging analysis package SPM, which provides users with options of using either method, along with more advanced statistical tests for robust LI calculations  No such toolbox is yet available for FSL. Therefore, we developed a series of scripts to calculate LI in FSL using both voxel count and percent signal change methods. However, in the interest of space, here we present only results from the more robust method of the two (voxel count method). A vast number of clinical disorders may involve changes in brain structure that are correlated with cognitive function and behavior (e.g., depression, schizophrenia, stroke, etc.). Reliably understanding the relationship between specific brain structures and relevant behaviors in worldwide clinical populations could dramatically improve healthcare decisions around the world. For instance, if a reliable relationship between brain structure after stroke and functional motor ability was established, brain imaging could be used to predict prognosis/recovery potential for individual patients. However, high heterogeneity in clinical populations in both individual neuroanatomy and behavioral outcomes make it difficult to develop accurate models of these potentially subtle relationships. Large neuroimaging studies (n > 10,000) would provide unprecedented power to successfully relate clinical neuroanatomy changes with behavioral measures. While these sample sizes might be difficult for any one individual to collect, the ENIGMA Center for Worldwide-Medicine, Imaging, and Genomics has successfully pioneered meta-and mega-analytic methods to accomplish this task. ENIGMA [http://enigma.ini.usc.edu] brings together a global alliance of over 500 international researchers from over 35 countries to pool together neuroimaging data on different disease states in hopes of discovering critical brain-behavior relationships. Individual investigators with relevant data run ENIGMA analysis protocols on their own data and send back an output folder containing the analysis results to be combined with data from other sites for a meta-analysis. In this way, large sample sizes can be acquired without the hassle of large-scale data transfers or actual neuroimaging data sharing. ENIGMA protocols were initially developed to harmonize processing methods of imaging researchers around the world and they require a moderate level of familiarity with several programming languages and environments. However, ENIGMA’s recent success has attracted greater interest in collaborative neuroimaging and protocols must be adjusted to allow for all levels of experience, as, the success of this approach depends on individual collaborators running these ENIGMA protocols on their data. Here, we worked on simplifying these protocols so even a novice programmer could use them. In this way, we hope to expand the feasibility of collecting critical clinical data from collaborators who may have less experience with neuroim-aging techniques. Background. Two thirds of stroke survivors experience motor impairment resulting in long-term disability. The anatomical substrate is often the disruption of cortico-subcortical pathways. It has been proposed that reestablishment of cortico-subcortical communication relates to functional recovery. Objective. In this study, we applied a novel training protocol to augment ipsilesional cortico-subcortical connectivity after stroke. Chronic stroke patients with severe motor impairment were provided online feedback of blood-oxygenation level dependent signal connectivity between cortical and subcortical regions critical for motor function using real-time functional magnetic resonance imaging neurofeedback. Results. In this proof of principle study, 3 out of 4 patients learned to voluntarily modulate cortico-subcortical connectivity as intended. Conclusions. Our results document for the first time the feasibility and safety for patients with chronic stroke and severe motor impairment to self-regulate and augment ipsilesional cortico-subcortical connectivity through neurofeedback using real-time functional magnetic resonance imaging. Redundancy is an important feature of the motor system, as abundant degrees of freedom are prominent at every level of organization across the central and peripheral nervous systems, and musculoskeletal system. This basic feature results in a system that is both flexible and robust, and which can be sustainably adapted through plasticity mechanisms in response to intrinsic organismal changes and dynamic environments. While much early work of motor system organization has focused on synaptic-based plasticity processes that are driven via experience, recent investigations of neuron-glia interactions, epigenetic mechanisms and large-scale network dynamics have revealed a plethora of plasticity mechanisms that support motor system organization across multiple, overlapping spatial and temporal scales. Furthermore, an important role of these mechanisms is the regulation of intrinsic variability. Here, we review several of these mechanisms and discuss their potential role in neurorehabilitation. Anglin, J. M., Sugiyama, T., & Liew, S.-L. (2016, November). Visuomotor adaptation in head-mounted virtual reality versus conventional training. Presented at the Society for Neuroscience, San Diego, CA. Liew, S.-L., Jahanshad, N., Anglin, J., Khoshab, N., Kim, B., Nakamura, W., Nhoung, H., Rondina, J., Tran, C., Borich, M., Boyd, L., Byblow, W., Dimyan, M., Ermer, E., Lang, C., Li, J., Nichols, T., Roberts, P., Sanossian, N., Soekadar, S., Stinear, C., Ward, N., Westlye, L. T., Winstein, C., Wittenberg, G. F., Cramer, S. C., & Thompson, P. M. (2016, November). ENIGMA Stroke Recovery: Big data neuroimaging to predict motor recovery. Presented at the Society for Neuroscience, San Diego, CA. Liew, S.-L., Jahanshad, N., Anglin, J., Khoshab, N., Kim, B., Nakamura, W., Nhoung, H., Rondina, J., Tran, C., Borich, M., Boyd, L., Dimyan, M., Ermer, E., Lang, C., Li, J., Nichols, T., Roberts, P., Sanossian, N., Soekadar, S., Ward, N., Westlye, L. T., Winstein, C., Wittenberg, G. F., Cramer, S. C., & Thompson, P. M. (2016, June). ENIGMA Stroke Recovery: Big data neuroimaging to predict motor recovery. Presented at the Organization for Human Brain Mapping Annual Meeting, Geneva, Switzerland. Non-invasive brain stimulation (NIBS) may enhance motor recovery after neurological injury through the causal induction of plasticity processes. Neurological injury, such as stroke, often results in serious long-term physical disabilities, and despite intensive therapy, a large majority of brain injury survivors fail to regain full motor function. Emerging research suggests that NIBS techniques, such as transcranial magnetic (TMS) and direct current (tDCS) stimulation, in association with customarily used neurorehabilitative treatments, may enhance motor recovery. This paper provides a general review on TMS and tDCS paradigms, the mechanisms by which they operate and the stimulation techniques used in neurorehabilitation, specifically stroke. TMS and tDCS influence regional neural activity underlying the stimulation location and also distant interconnected network activity throughout the brain. We discuss recent studies that document NIBS effects on global brain activity measured with various neuroimaging techniques, which help to characterize better strategies for more accurate NIBS stimulation. These rapidly growing areas of inquiry may hold potential for improving the effectiveness of NIBS-based interventions for clinical rehabilitation. The human putative mirror neuron system (MNS) is a key network hypothesized to play a role in many social cognitive and language-related abilities. This chapter begins by discussing basic findings on the mirror system, which encompasses motor-related brain regions that fire when an individual both performs and observes others perform actions. We then discuss how these shared action/observation regions are thought to underlie one’s ability to understand others via simulation of their actions onto one’s own motor representations. Finally, we conclude by noting how the frontal mirror region coincides with Broca’s area, a language region in the brain, leading some to propose that the MNS may also play a role in language and gesture abilities. Brain-neural machine interfaces (BNMIs) are systems that allow a user to control an artificial device, such as a computer cursor or a robotic limb, through imagined movements that are measured as neural activity. They provide the potential to restore mobility for those with motor deficiencies caused by stroke, spinal cord injury, or limb amputations. Such systems would have been considered a topic of science fiction a few decades ago but are now being increasingly developed in both research and industry. Workers in this area are charged with fabricating BNMIs that are safe, effective, easy to use, and affordable for clinical populations. Background and Purpose. Much recent interest surrounds the use of action observation, which is observing another individual performing a motor task, in stroke rehabilitation, to promote motor recovery by engaging similar brain regions to action execution. This may be especially useful in individuals with limited mobility. Here, we assess how cortical motor activity during action observation is affected by stroke and by stroke-related motor deficits. Methods. We used functional MRI to compare brain activity during right and left hand action observation in right-handed nondisabled participants and participants who were right-handed before left hemisphere stroke. All participants performed the same actions after their functional MRI. Results. Nondisabled participants show greater bilateral cortical motor activity when observing actions made using the left hand, whereas participants with stroke show greater ipsilesional cortical motor activity when observing actions made using the right (paretic) hand (P<0.05; corrected). For both groups, action processing is modulated by motor capability: cortical motor activity is greater when observing the hand with lower motor scores (P<0.05; corrected). Furthermore, for stroke, the extent of ipsilesional activity correlates with lesion volume (P=0.049), in a pattern that suggests adaptive plasticity. Conclusions. We found that action observation activates specific motor plans in damaged motor circuits after stroke, and this activity is related to motor capability to perform the same actions. Cortical motor activity during action observation may be relevant to motor learning, and to motor relearning in stroke rehabilitation. Although creativity has been called the most important of all human resources, its neural basis is still unclear. In the current study, we used fMRI to measure neural activity in participants solving a visuospatial creativity problem that involves divergent thinking and has been considered a canonical right hemisphere task. As hypothesized, both the visual creativity task and the control task as compared to rest activated a variety of areas including the posterior parietal cortex bilaterally and motor regions, which are known to be involved in visuospatial rotation of objects. However, directly comparing the two tasks indicated that the creative task more strongly activated left hemisphere regions including the posterior parietal cortex, the premotor cortex, dorsolateral prefrontal cortex (DLPFC) and the medial PFC. These results demonstrate that even in a task that is specialized to the right hemisphere, robust parallel activity in the left hemisphere supports creative processing. Furthermore, the results support the notion that higher motor planning may be a general component of creative improvisation and that such goal-directed planning of novel solutions may be organized top-down by the left DLPFC and by working memory processing in the medial prefrontal cortex. Observing actions performed by others engages one's own sensorimotor regions, typically with greater activity for actions within one's own motor abilities or for which one has prior experience. However, it is unclear how experience modulates the neural response during the observation of impossible actions, beyond one's own abilities. Using fMRI, we scanned typically-developed participants as they observed actions performed by a novel biological effector (the residual limb of a woman born without arms) and a familiar biological effector (a hand). Participants initially demonstrated greater activity in the bilateral inferior and superior parietal cortices when observing actions made by the residual limb compared to the hand, with more empathic participants activating the right inferior parietal lobule, corresponding to the posterior component of the action observation network, more strongly. Activity in the parietal regions may indicate matching the kinematics of a novel effector to one's own existing sensorimotor system, a process that may be more active in more empathic individuals. Participants then received extended visual exposure to each effector, after which they showed little difference between activation in response to residual limb compared to hand actions, only in the right superior parietal lobule. This suggests that visual experience may attenuate the difference between how residual limb and hand actions are represented using one's own body representations, allowing us to flexibly map physically different others onto our own body representations. Occupational therapy has traditionally championed the use of meaningful occupations in rehabilitation. Emerging research in neuroscience about the putative human mirror neuron system may provide empirical support for the use of occupations to improve outcomes in rehabilitation. This article provides an interdisciplinary framework for understanding the mirror neuron system — a network of motor-related brain regions activated during the production and perception of the same actions — in relation to occupational therapy. The authors present an overview of recent research on the mirror neuron system, highlighting features that are relevant to clinical practice in occupational therapy. They also discuss the potential use of the mirror neuron system in motor rehabilitation and how it may be deficient in populations served by occupational therapy, including individuals with dyspraxia, multisensory integration disorders, and social interaction difficulties. Methods are proposed for occupational therapy to translate these neuroscience findings on the mirror neuron system into clinical applications and the authors suggest that future research in neuroscience would benefit from integrating the occupational therapy perspective. How do we understand and empathize with individuals whose bodies are drastically different from our own? We investigated the neural processes by which an individual with a radically different body, a congenital amputee who is born without limbs, engages her own sensory-motor representations as a means to understand other people’s body actions or emotional states. Our results support the prediction that when the goal of the action is possible for the observer, one’s own motor regions are involved in processing action observation, just as when individuals viewed those similar to themselves. However, when the observed actions are not possible, mentalizing mechanisms, relying on a different set of neural structures, are additionally recruited to process the actions. Furthermore, our results indicate that when individuals view others experiencing pain in body parts that they have, the insula and somatosensory cortices are activated, consistent with previous reports. However, when an individual views others experiencing pain in body parts that she does not have, the insula and secondary somatosensory cortices are still active, but the primary somatosensory cortices are not. These results provide a novel understanding for how we understand and empathize with individuals who drastically differ from the self. Human adults typically respond faster to their own face than to the faces of others. However, in Chinese participants, this self-face advantage is lost in the presence of one's supervisor, and they respond faster to their supervisor's face than to their own. While this “boss effect” suggests a strong modulation of self-processing in the presence of influential social superiors, the current study examined whether this effect was true across cultures. Given the wealth of literature on cultural differences between collectivist, interdependent versus individualistic, independent self-construals, we hypothesized that the boss effect might be weaker in independent than interdependent cultures. Twenty European American college students were asked to identify orientations of their own face or their supervisors' face. We found that European Americans, unlike Chinese participants, did not show a “boss effect” and maintained the self-face advantage even in the presence of their supervisor's face. Interestingly, however, their self-face advantage decreased as their ratings of their boss's perceived social status increased, suggesting that self-processing in Americans is influenced more by one's social status than by one's hierarchical position as a social superior. In addition, when their boss's face was presented with a labmate's face, American participants responded faster to the boss's face, indicating that the boss may represent general social dominance rather than a direct negative threat to oneself, in more independent cultures. Altogether, these results demonstrate a strong cultural modulation of self-processing in social contexts and suggest that the very concept of social positions, such as a boss, may hold markedly different meanings to the self across Western and East Asian cultures. Recent research suggests that the inference of others' intentions from their observed actions is supported by two neural systems that perform complementary roles. The human putative mirror neuron system (pMNS) is thought to support automatic motor simulations of observed actions, with increased activity for previously experienced actions, whereas the mentalizing system provides reflective, non-intuitive reasoning of others' perspectives, particularly in the absence of prior experience. In the current fMRI study, we show how motor familiarity with an action and perceptual familiarity with the race of an actor uniquely modulate these two systems. Chinese participants were asked to infer the intentions of actors performing symbolic gestures, an important form of non-verbal communication that has been shown to activate both mentalizing and mirror neuron regions. Stimuli were manipulated along two dimensions: (1) actor's race (Caucasian vs. Chinese actors) and (2) participants' level of experience with the gestures (familiar or unfamiliar). We found that observing all gestures compared to observing still images was associated with increased activity in key regions of both the pMNS and mentalizing systems. In addition, observations of one's same race generated greater activity in the posterior pMNS-related regions and the insula than observations of a different race. Surprisingly, however, familiar gestures more strongly activated regions associated with mentalizing, while unfamiliar gestures more strongly activated the posterior region of the pMNS, a finding that is contrary to prior literature and demonstrates the powerful modulatory effects of both motor and perceptual familiarity on pMNS and mentalizing regions when asked to infer the intentions of intransitive gestures. Body Integrity Identity Disorder (BIID) is a condition in which people generally desire amputation of healthy limbs but can also desire paralysis, blindness, or other disabilities. The current study explored the demographics and experiences of individuals with this condition with specific attention to perceived physical differences of the affected limbs. Participants were recruited from three BIID-focused Internet forums to participate in two online surveys. There were 97 unique participants total, the largest sample size of individuals with BIID to date. It was found that individuals with BIID differ from the normal population in handedness and sexual orientation. Participants who reported differences in sensation in the affected limb(s) were also significantly more likely to report difficulty in learning/imitation, difference of feeling during use, and difference in performance of the affected limb(s). Furthermore it was found that individuals who achieved amputation almost always experienced phantom limbs and that many participants choose to use prosthetics post-amputation. These results shed light on the many facets of BIID and the perception of self and body schema. Future studies using neuroimaging may be able to better understand the neural bases of BIID. Language is a dominant part of our daily activities, playing a significant role in narrating our actions and mediating our interactions with one another. In this article, we examine emerging neuroscientific evidence that language is biologically linked to action and suggest that studying language from an occupation-based perspective can contribute a rich dimension of analysis for occupational science. We briefly review several of the ways in which language is currently being incorporated into the study of occupations and conclude by suggesting future directions for an occupation-based study of language.